There is no pipeline problem, tech world. Here we are. On the weekend of November 9-12, 2018, around 4,000 technology sector professionals and their sector-adjacent colleagues descended on the smoky city of San Francisco. Their goal? To meet and connect with folks who looked like them, and were just as ambitious and driven to infiltrate the tech world in innovative ways. As a third-year participant to Blavity’s Afrotech, my hopes were high. I can’t say I was disappointed. From the very first day, large corporations such as Twitter, Google, and Pinterest opened their arms to Black tech learners and leaders, showing them what the golden city had to offer. As a veteran of the conference, I must say that my expectations were high. I had enjoyed my first time, as a technical recruiter for a big name tech company, meeting amazing candidates that any software development manager would be lucky to have on their team. The second time, I learned more about what it took to be an entrepreneur, and it struck me in a different way—making me realize that I had what it took to become one myself. IMAGE: COURTESY OF BLAVITY INC. This time, I came to the conference with a renewed sense of hope. I had initially convinced myself that I didn’t need to go, but the gems I gained by being in the same space of some of the largest tech innovators in the world revitalized my urge to create in a similar way. There was ‘Textures and Hues’, the innovative brainchild full of textured haircare products that can be found on Amazon.com, come to life from the minds of Rovina Broomfield and Kimberly Hill; there was Founder Gym, of Mandela Schumacher-Hodge Dixon, teaching underrepresented tech founders and leaders how to survive in Silicon Valley. And these powerhouses aren’t just on the West Coast. Across the nation and the world, Black tech innovators are taking over. The idea that we only exist in pockets just isn’t accurate anymore. Being in spaces like this make me realize that all it takes is a seed. We live in a world where we’re continually driven toward being content with roles that don’t make room for our input. Many of the presenters and attendees of Afrotech challenge that notion. Afrotech is positioned to be the breeding ground for innovation that the world has yet to prepare itself for. With partnerships from across the tech spectrum, Blavity has produced a conference that is just as important to attend as Grace Hopper or NSBE. While I would love to see more students attend, and more options to expand the accessibility to the conference for people of all economic backgrounds, this type of space is important. As a graduate of an HBCU—and living in the Pacific Northwest where people still ask me what the acronym means—I was very spoiled in being around people who looked like me and had similar ambitions. Trying to break into the tech and entrepreneurial sectors as a Black woman often exacerbates my sense of displacement. There’s a buzzword within the sector that refers to Black tech professionals as “unicorns”—it was used a lot when I was a technical recruiter. But the thing is: none of us are mythical. Our weekend at Afrotech proved that 10 times over. We exist, and we deserve to be in the same spaces and to sit at the same tables. Oftentimes, we come with ideas that enhance the products the world consumes; in the process, we also create our own ideas. 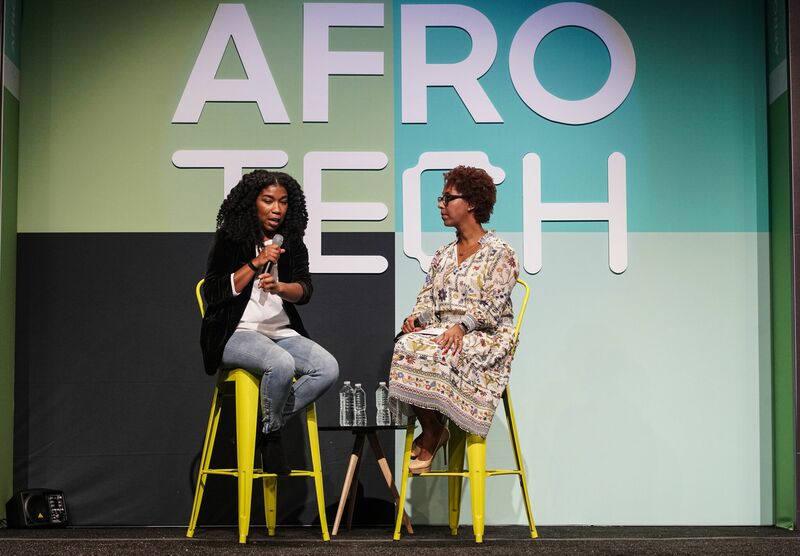 Attending Afrotech is important for anyone who wants to create connections or learn more about the tech industry—all while being in the presence of Black folks from multiple parts of the diaspora. My only question is: what are people on the outside looking in going to do to make this conference bigger and better next year?